Our spotlight for December the 5th is S.A.F.E. Refuge! S.A.F.E. Refuge is a non-profit that works to help animals in any way they possible. S.A.F.E. stands for Saving Animals From Euthanasia, which is exactly what they do! S.A.F.E. Refuge provides a voice for the voiceless animals of central Texas. They foster animals looking for good homes and have their very own neuter and spay clinic. S.A.F.E. Refuge also made incredible efforts during Hurricane Harvey to rescue, rehabilitate, and reunite animals with their families! If you’re thinking about adopting a dog or cat you can check out the S.A.F.E. Refuge website to see their available pets along with info about their adoption process and story! 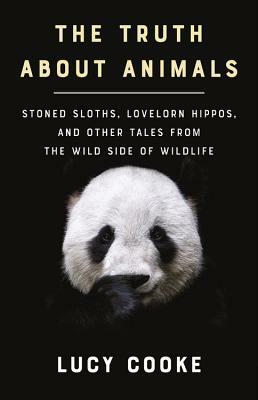 Stop by Bookpeople on December 5th to check out The Truth About Animals and to do some holiday shopping! When you get to the register, mention this blog post and 20% of your purchase will be donated to S.A.F.E. Refuge! Keep an eye out for more Season of Giving spotlights to come! Next Post BookKids: Meet our new bookseller!